Whether you’re a local Queenslander, you come from interstate, or you’re in from overseas enjoying the glorious weather, there’s loads of things to do on the Gold Coast to keep the kids busy these school holidays. With your Meriton Suites Gold Coast accommodation sorted, all you need now are some fun school holiday activities to make it a perfect family vacation. So, here are the five best activities on the Gold Coast for kids of all ages – as well as plenty to keep mum and dad occupied too! 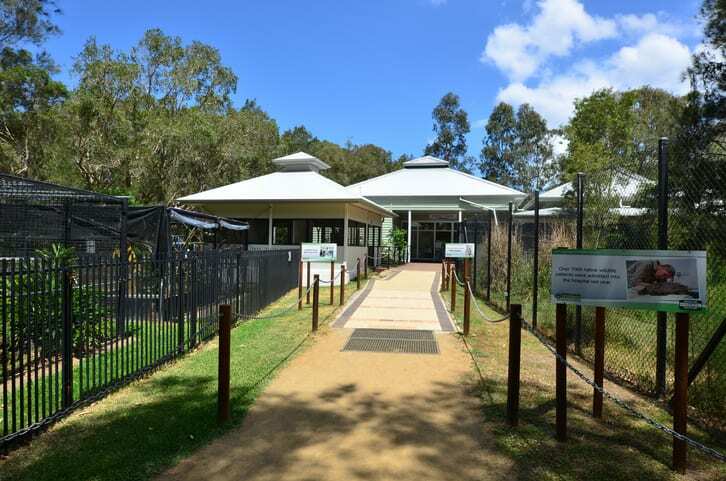 The Gold Coast Regional Botanic Gardens offers a wide range of activities and workshops that will keep curious young minds challenged and active kids outdoors and having fun. In January, kids aged 5 to 12 can learn and have fun yet educational hands-on experiences with the environment and nature. With holiday programs all about discovering more about our feathered friends and the incredible world of insects, there’s something for everyone. If you’ve never tried an ice cream bean or a chocolate fruit, then you’re in for a real treat. The farm tour at Tropical Fruit World takes you on a tractor train ride through the orchard sampling exotic and unusual fruits, a visit to the animal park with native and farm animals that you can feed and pat, and a river boat cruise through lush flora, fauna, and bushland. Tropical Fruit World is a fascinating hidden gem and a fantastic yet easy day trip from the Gold Coast that the whole family can enjoy. Throughout December, keep the kids entertained with a fun evening watching movies under the stars. Held at various locations across the Gold Coast over the school holidays and conveniently located near our Meriton Suites accommodation, Movies Under the Stars offers families a relaxed, low-key night where the only thing you’ll have to worry about is where to sit and whether to bring your own picnic or grab some nosh at the food trucks. On December 1st and 22nd, the venues are also offering additional free interactive kids activities. Make sure to follow the City of Gold Coast Facebook page for further updates. Just a few minutes from Meriton Suites Broadbeach, the mega Putt Putt course at Mermaid Beach will get everyone competing to be the family’s top golfer. With three courses to try, including a fun run, a jungle trail, and a waterways course, each set of 18-holes has unique motorised obstacles and tricky challenges to keep the whole family on their toes. This is the home of the Australian Mini Golf Champions (yes, it’s a real thing), so you know these guys are serious about their putt. Once you’ve played through a round (or three), stick around and have a family barbecue or head to the nearby local park for a picnic by the beach. It doesn’t matter if you’ve lived in Australia your entire life or are only visiting for a few days, our native wildlife is some of the most unique you’ll find anywhere in the world. And nowhere highlights this fact better than the Currumbin Wildlife Sanctuary. Just a short drive from our Broadbeach accommodation, the expansive wildlife sanctuary shows off just how fascinating our native Aussie animals truly are. Spend the day learning and discovering new things about a huge range of birds, marsupials, reptiles, and many others, or book an up-close encounter with some of the most iconic Australian creatures. The school holidays are a perfect time to explore the sanctuary and keep the entire family entertained. Contact us to reserve your Meriton Suites accommodation on the Gold Coast to stay on the doorstep of these fantastic school holiday activities.